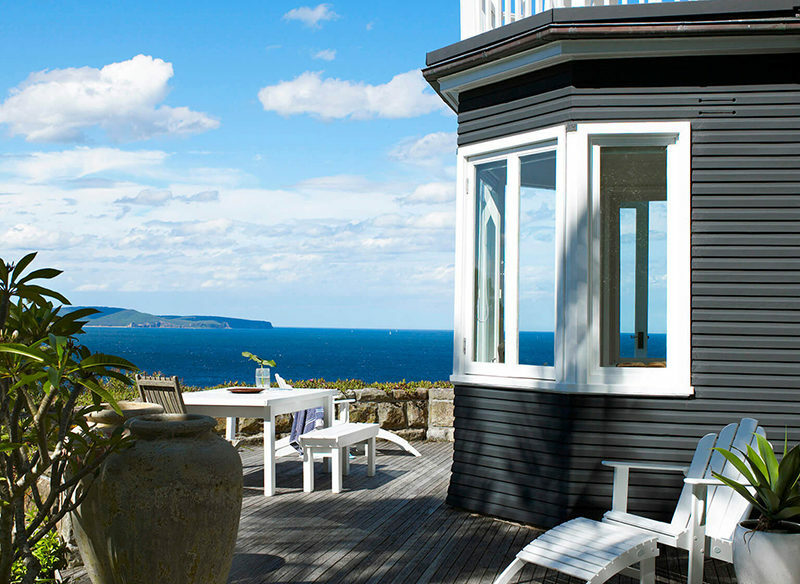 Hiring a holiday home is the quintessential summer experience and whether it is a beach shack or a private island villa, comes with quality linen or has room for the dog, the perfect place for you is out there. Here’s how to find it. Bluewater on the Beach, Belongil Beach, Byron Bay. Travel photographer Kara Rosenlund recommends Brooms Head on the north coast, a beach hideaway that conjures nostalgic holiday vibes and, surrounded by the Yuraygir National Park, looks just like the coastline would have a century ago. Take a leaf out of Rosenlund’s book and head to North Stradbroke Island, just off Brisbane, where holiday homes available to hire range from renovated 1950s cottages to architect’s retreats and the delightfully named Funky Little Shack, situated on Lighthouse Hill. “The Great Ocean Road in Victoria is a great spot,” says McDonagh. “The stretch between Anglesea and Lorne in particular is an incredible part of Australia’s coastline but also has access to some wonderful surfing beaches. Then you can go out the back of Lorne and hike the Erskine Falls trail, or shop at great boutiques on the main street of Lorne at places like Deluxe. And of course you’ll find great restaurants and food that way as well,” he says. As a child, McDonagh’s holidays were spent in WA’s south-west – around Dunsborough, Yallingup and Eagle Bay – and it’s these locations within the state’s perennially popular Margaret River region that he’ll still gravitate to now. The pretty resort town of Dunsborough was built on the foundation of surfing and family holidays. Its spirit remains the same, but it now offers visitors contemporary restaurants like Yarri – whose menu reflects the six seasons of Western Australia’s Nyungar people and country – and coffee shops like Albert + Nikola, which takes its brews very seriously. Beachside Yallingup is timelessly beautiful and draws in surfers and wine lovers alike. With typically cooler temperatures and lower humidity than most of the country, head to Tasmania if you’re not that hot on the archetypal Aussie summer. The Boathouse through driftwood, Satellite Island (photo: Mark Chew). 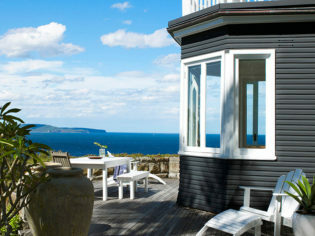 Rosenlund recommends the private retreat of Satellite Island – set in the D’Entrecasteaux Channel between Bruny Island and the Tasmanian mainland. Guests hire the whole island and have access to its Summer House, Boathouse and luxury bell tent accommodation options, with a maximum occupancy of eight guests all up. So if the rugged beauty of Tasmania’s wilderness takes your breath away every time – and the idea of little more to do than bushwalking, kayaking and shucking your own wild oysters appeals – this might just be your idea of paradise. Kangaroo Island, rated by Rosenlund, is also seeing a growing number of quality accommodation and culinary offerings to go with its 50 beaches.